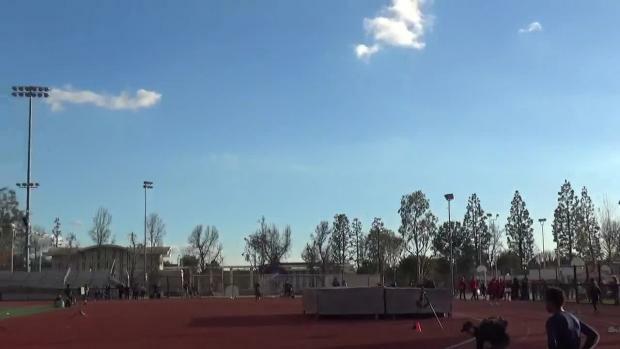 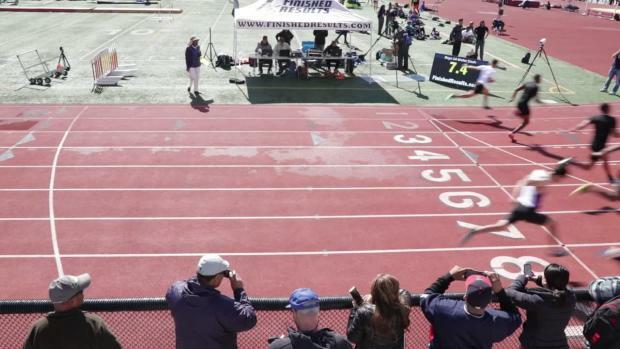 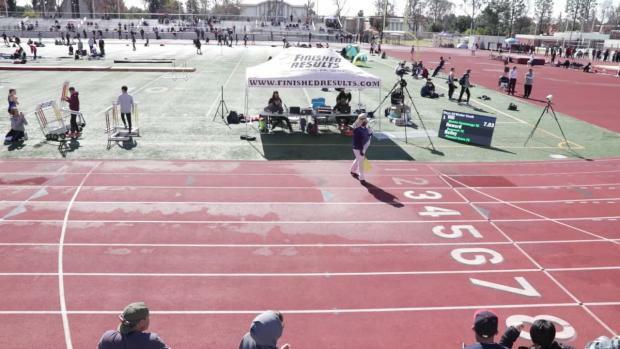 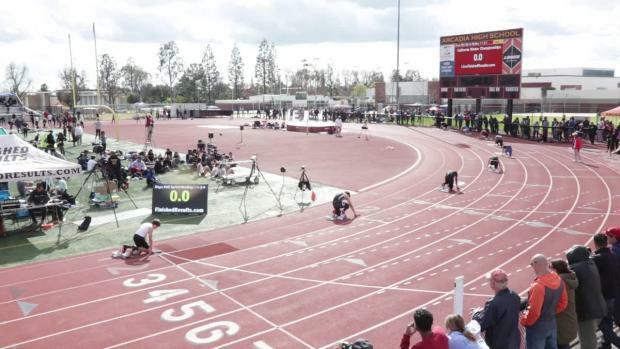 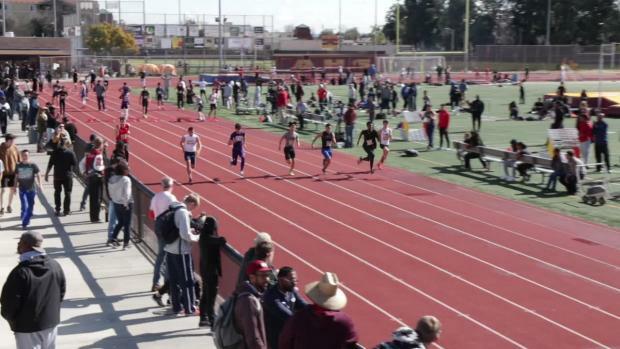 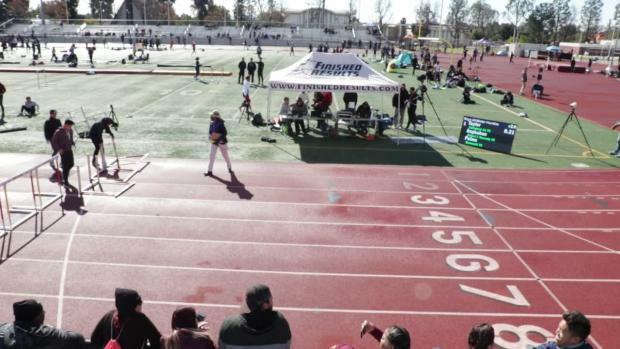 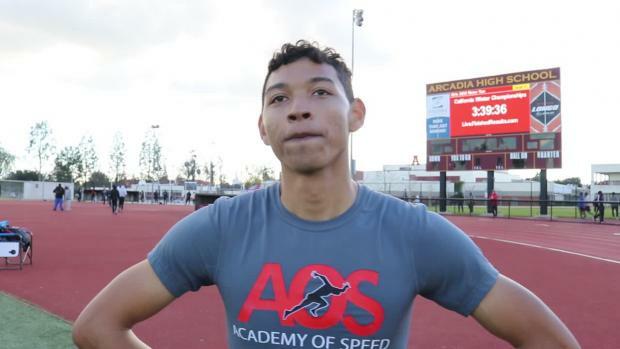 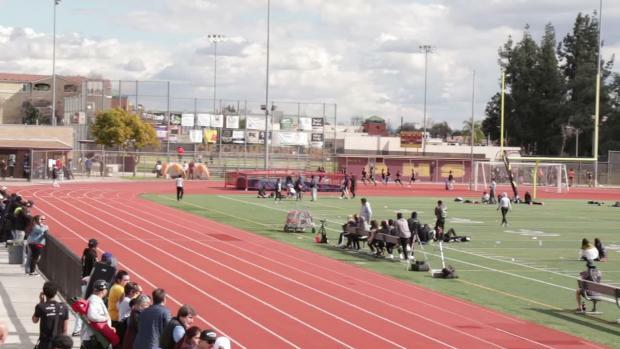 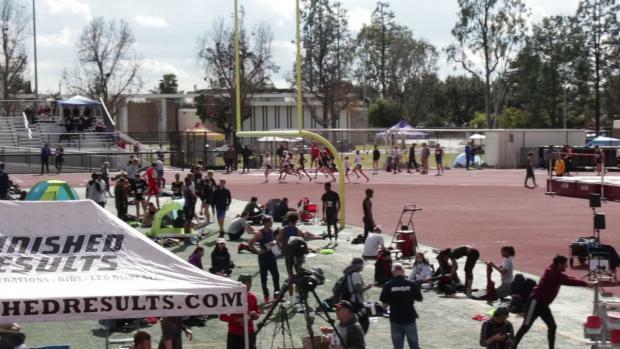 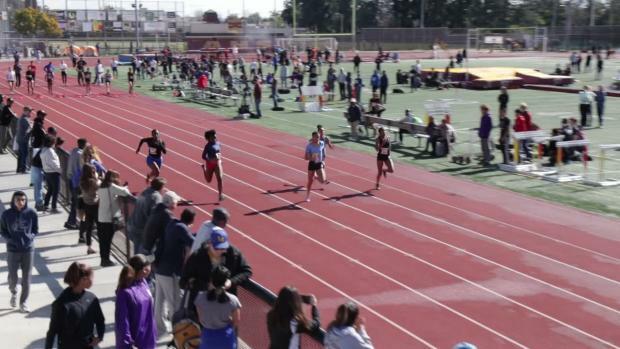 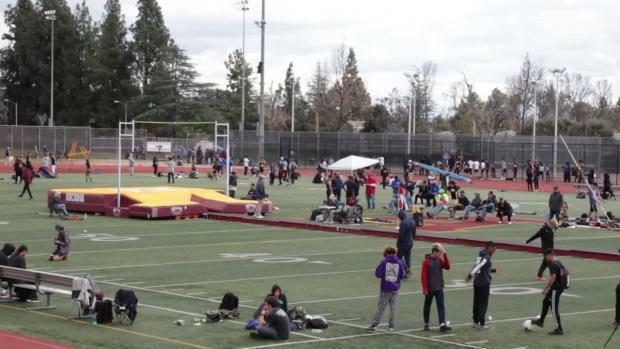 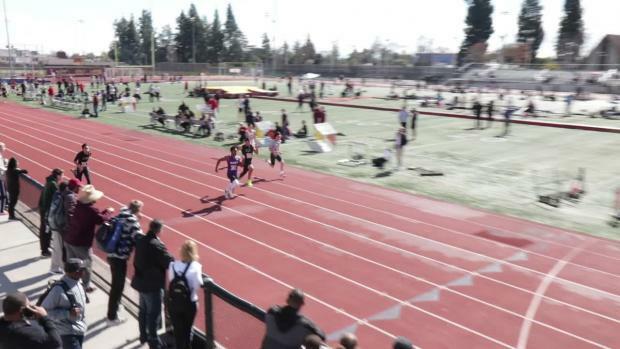 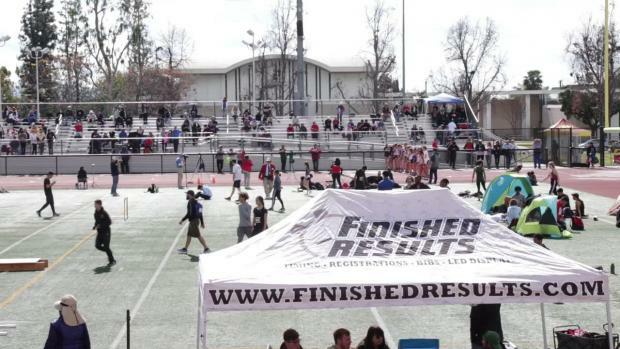 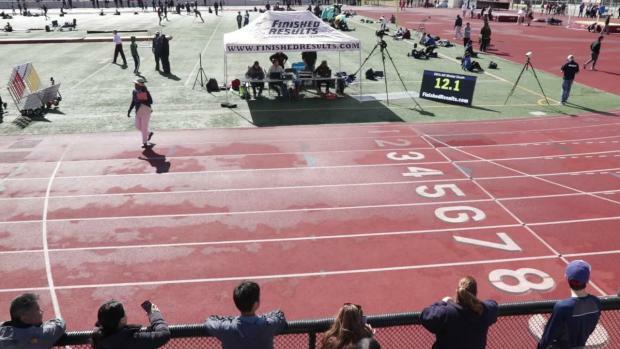 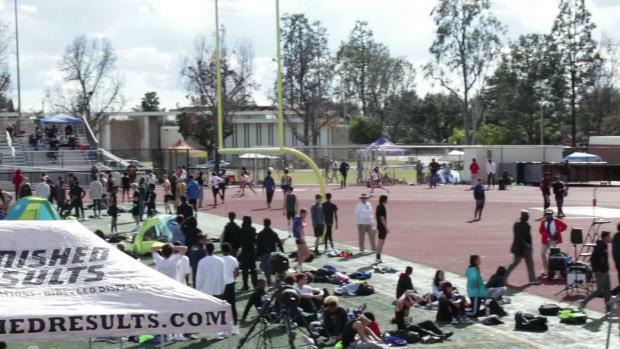 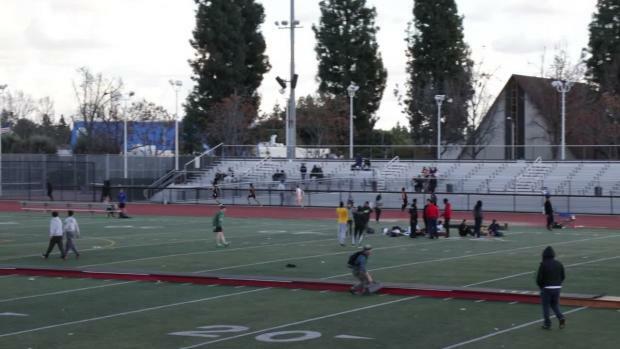 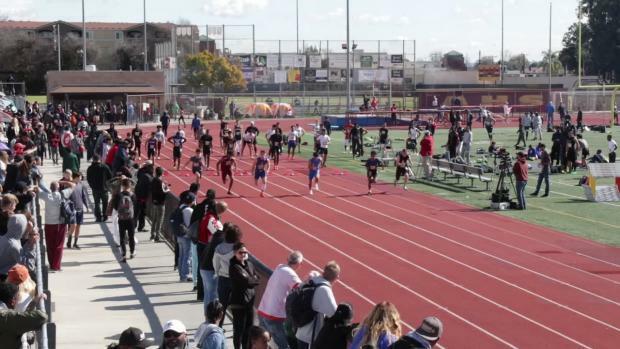 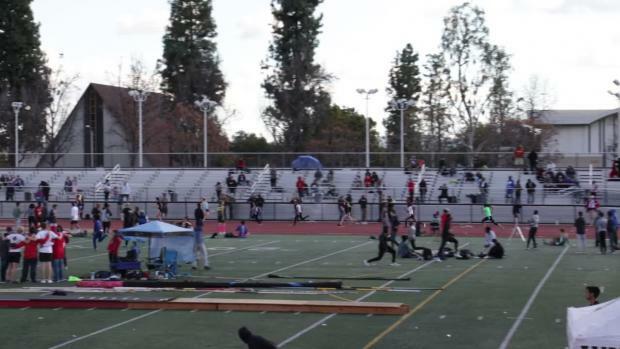 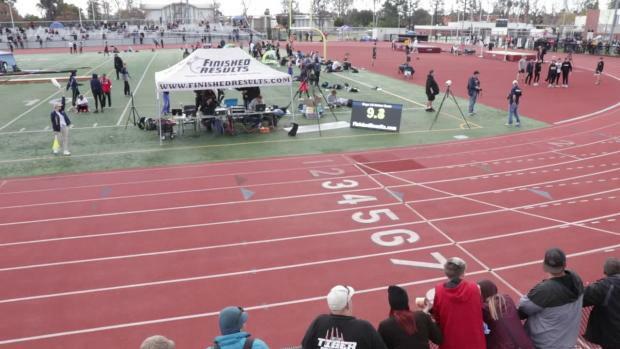 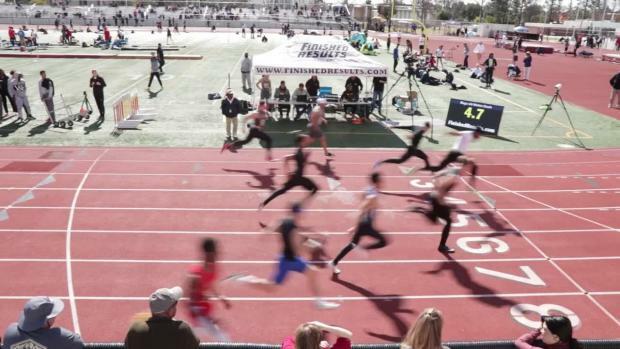 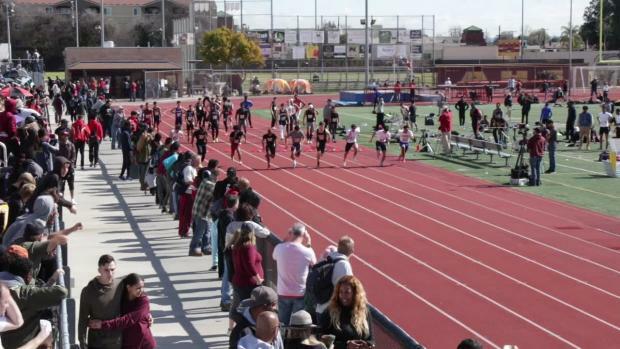 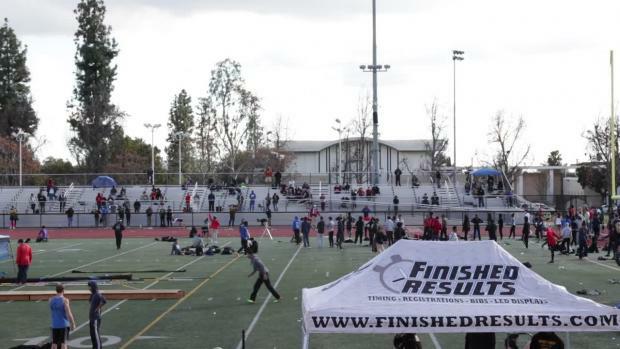 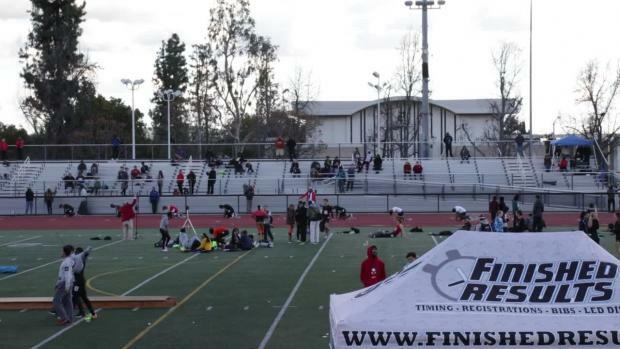 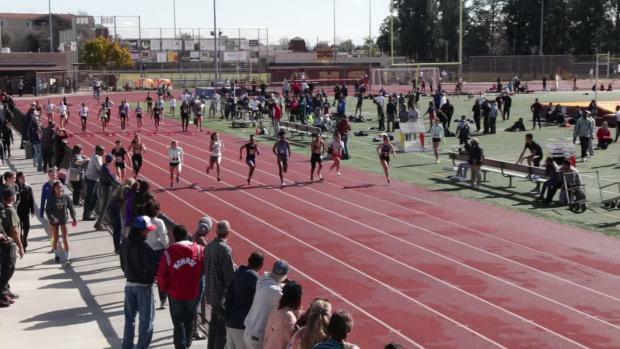 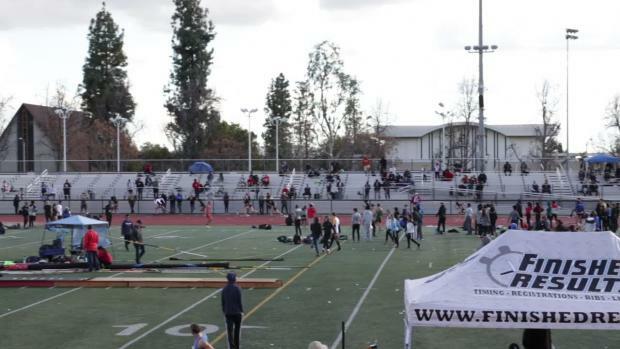 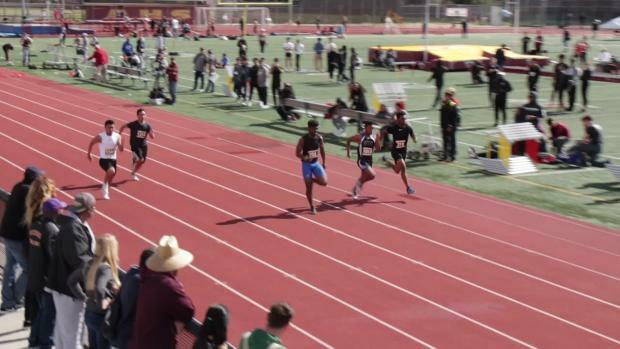 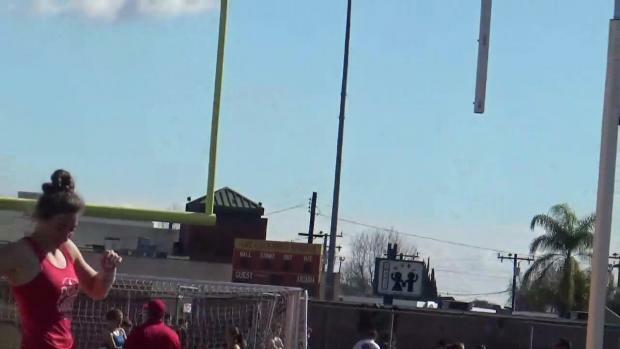 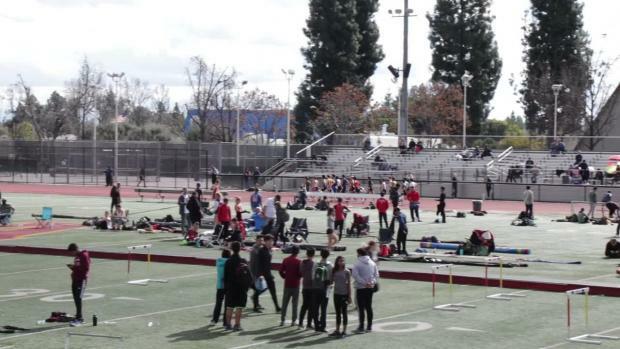 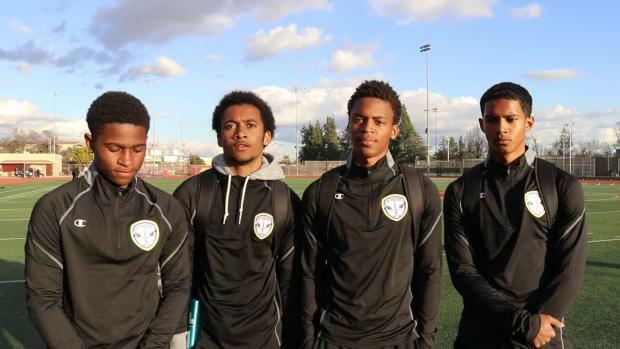 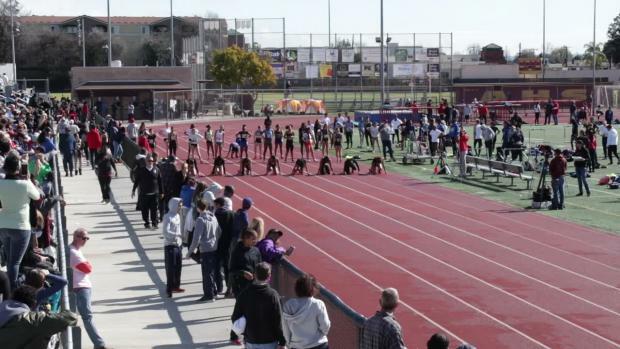 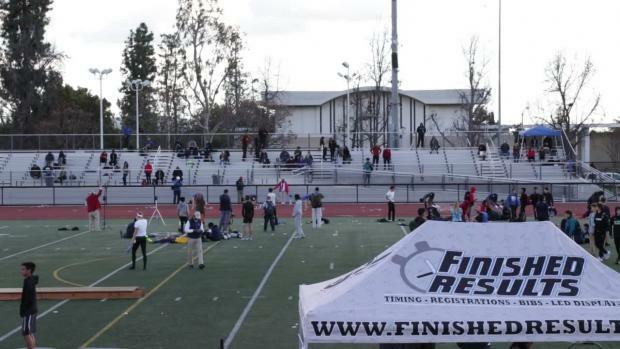 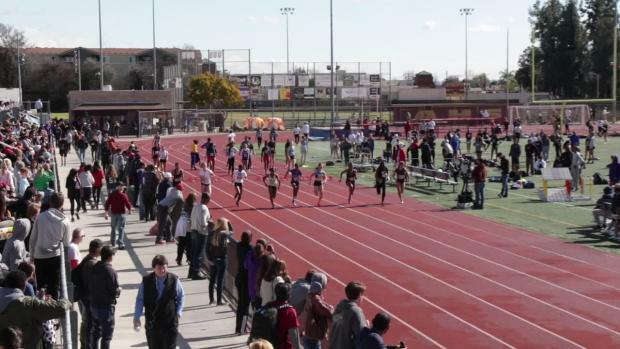 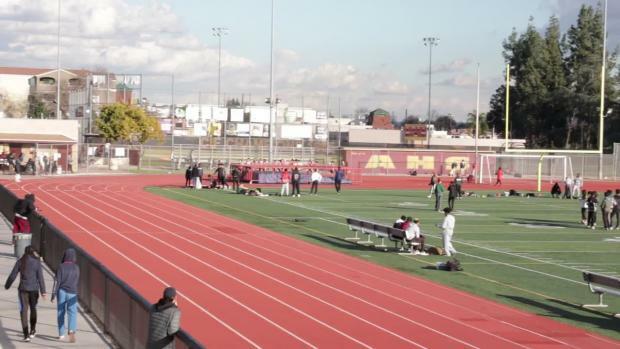 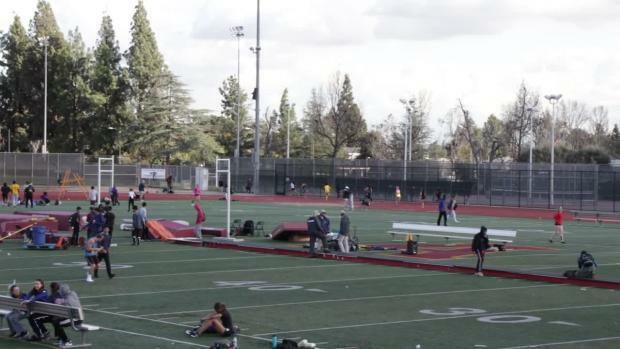 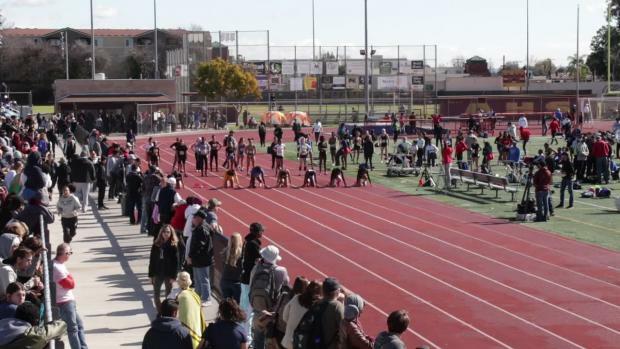 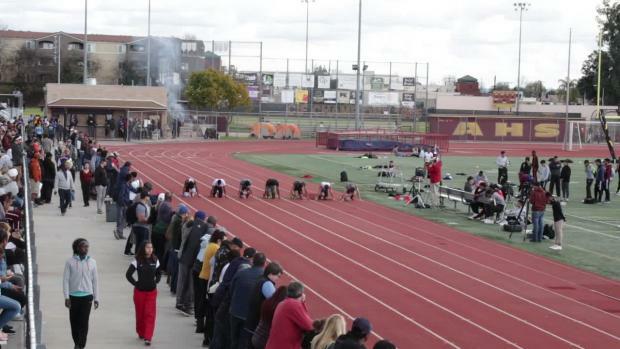 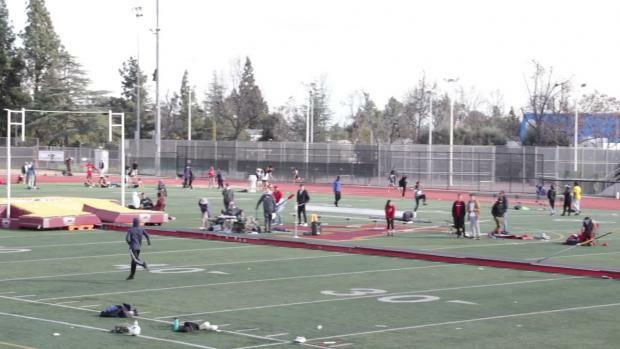 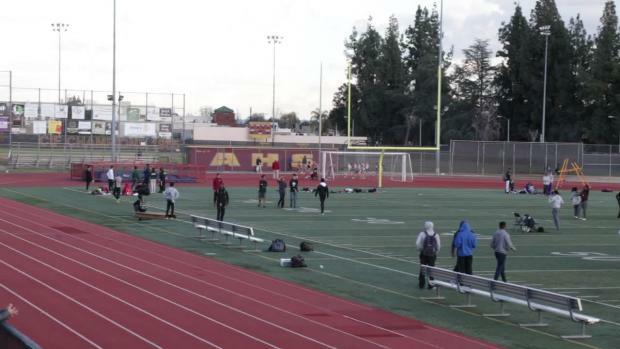 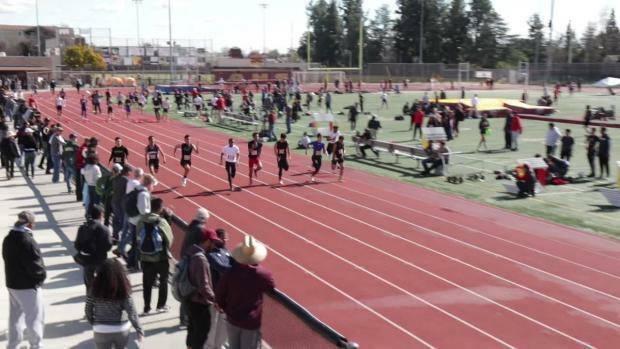 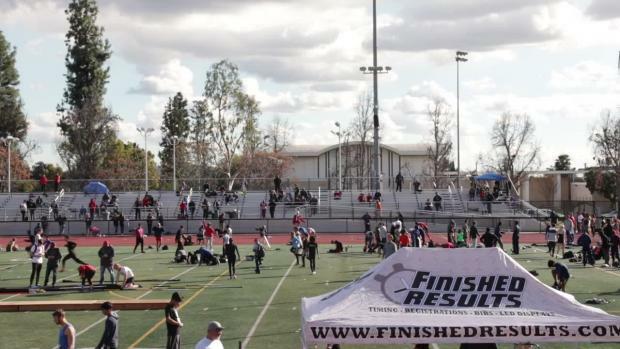 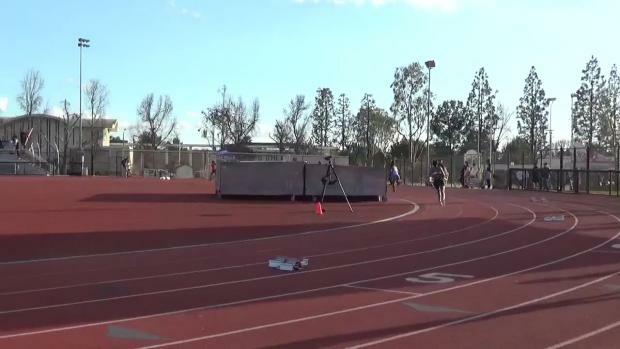 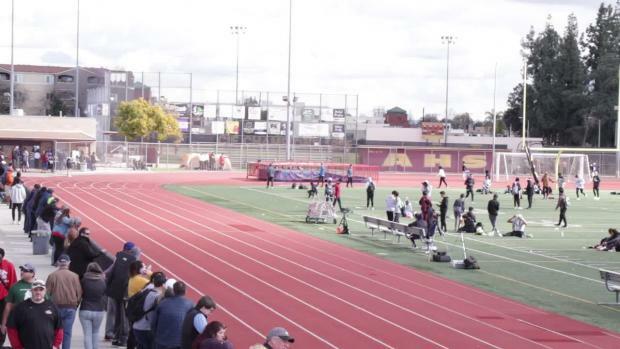 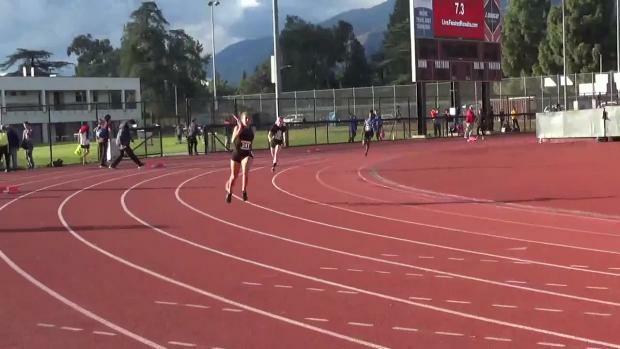 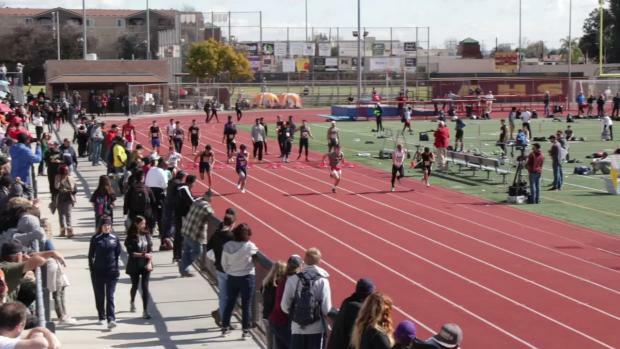 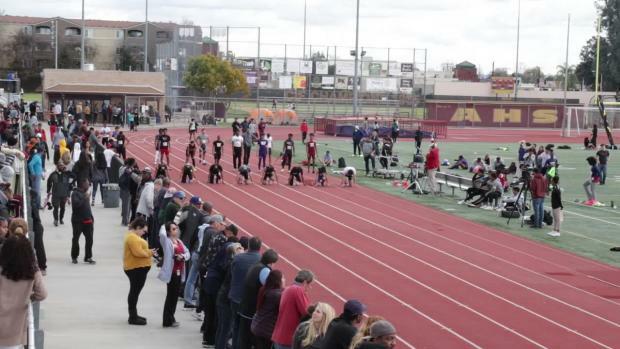 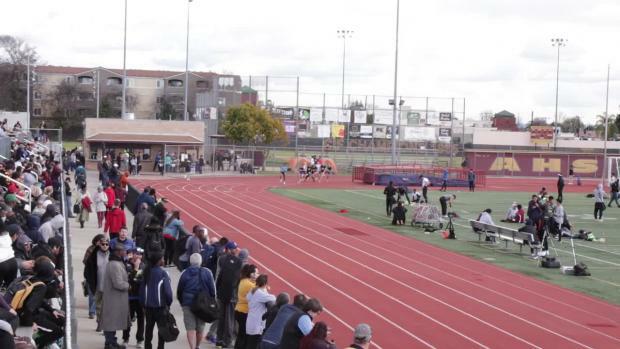 Jade McDonald went to the State Meet in the triple jump last June as just a freshman competing for Santa Ana Mater Dei. 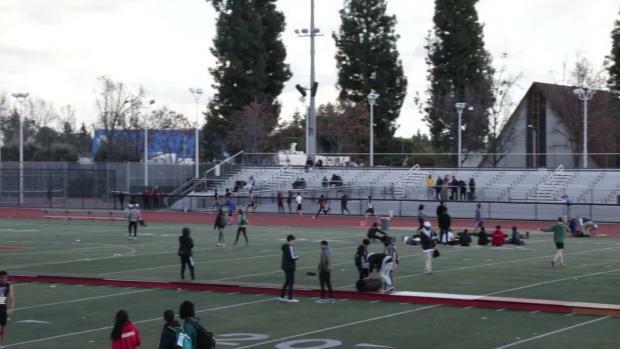 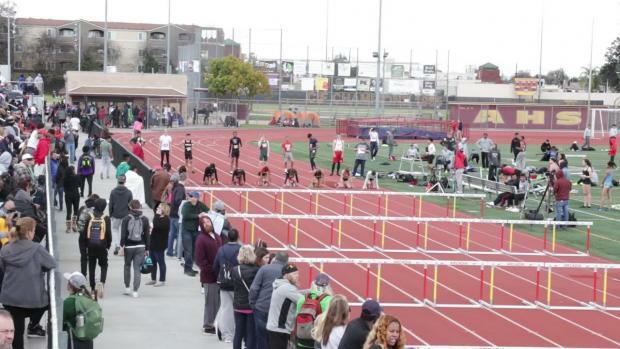 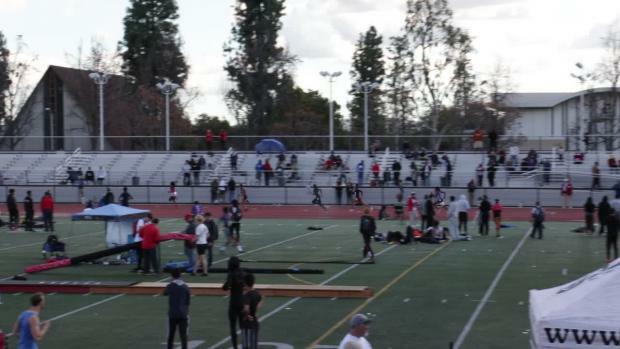 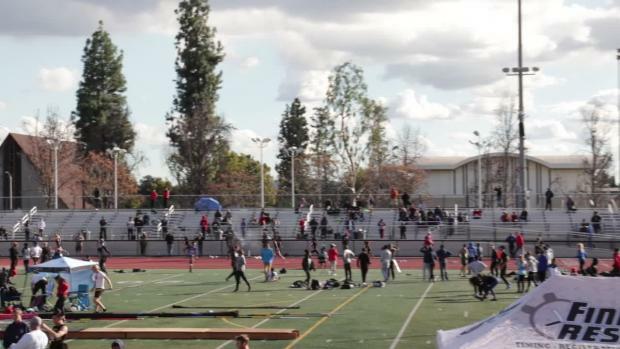 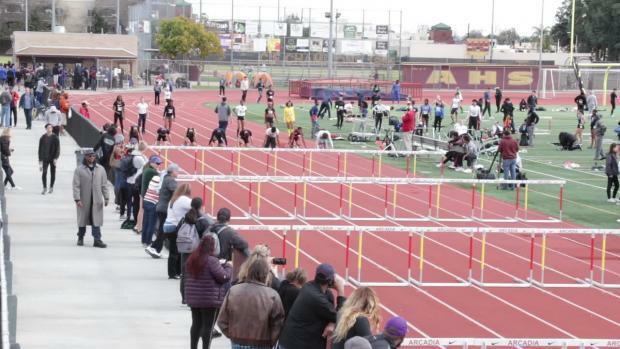 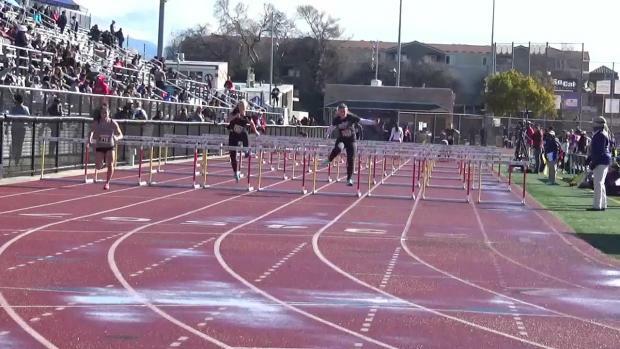 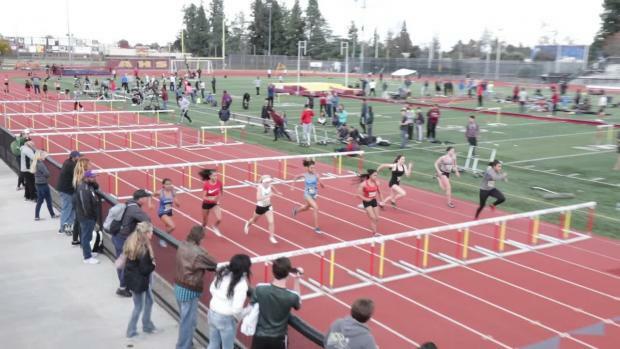 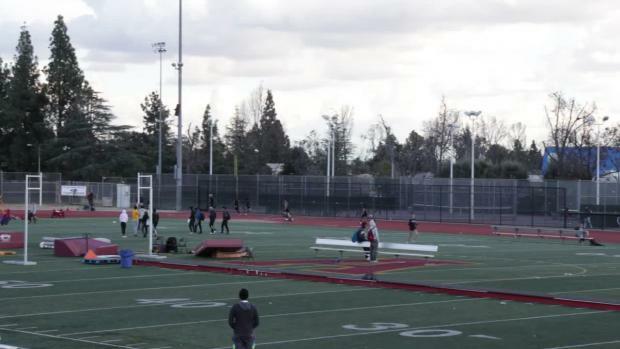 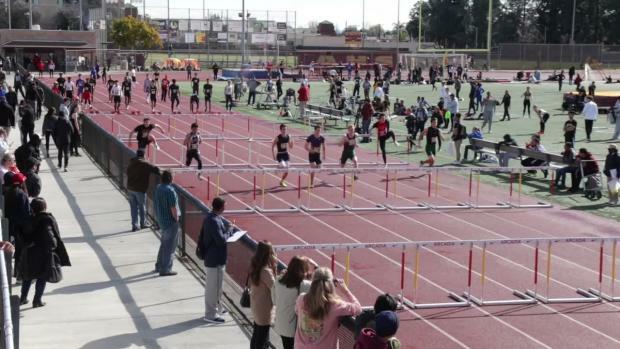 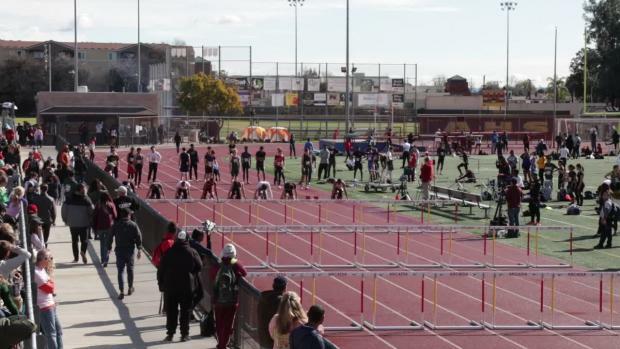 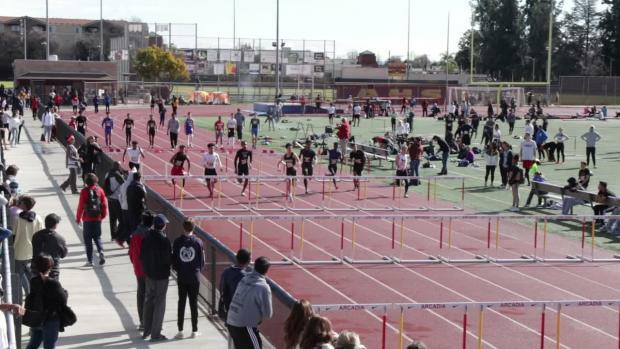 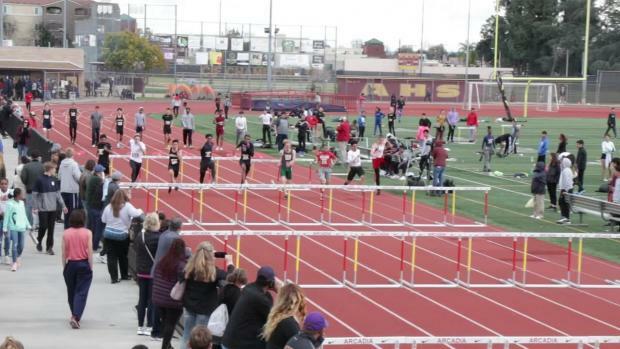 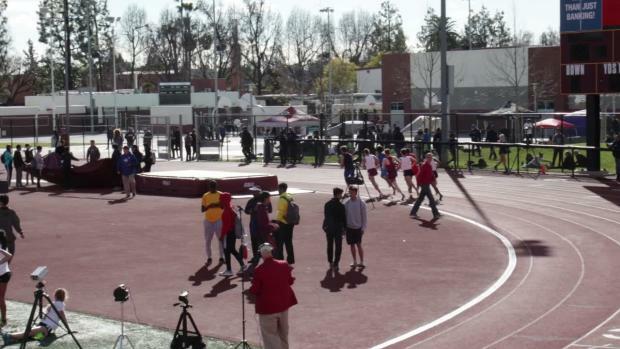 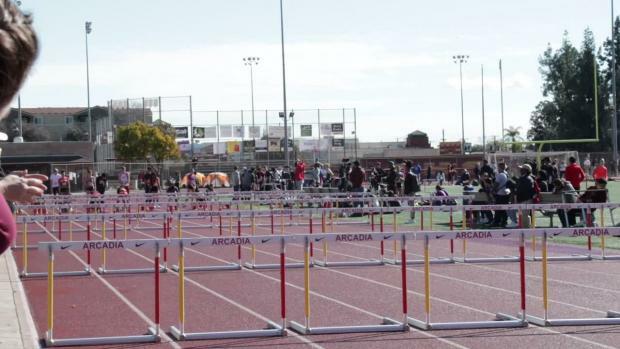 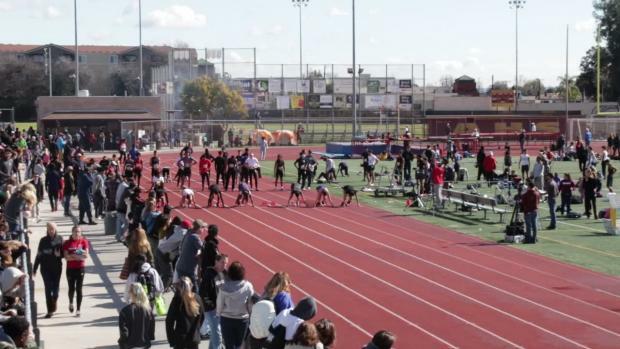 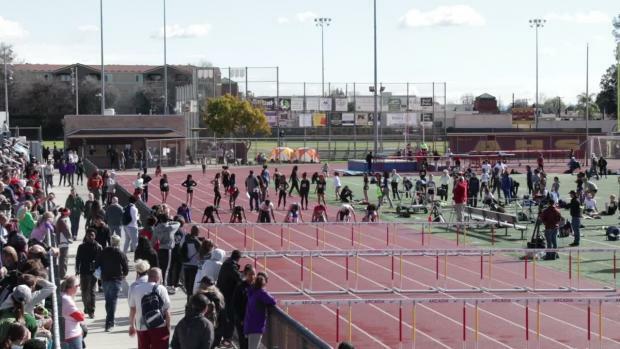 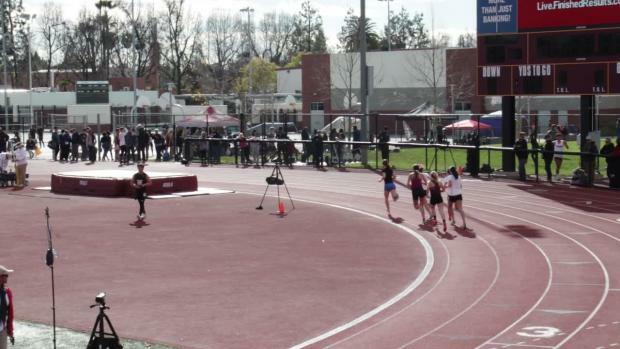 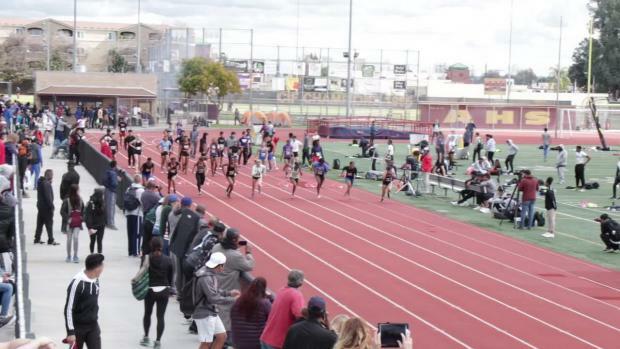 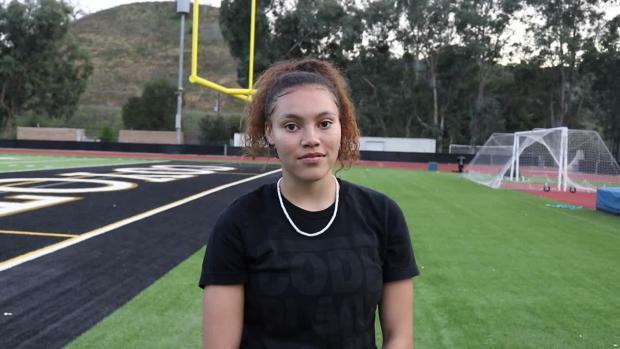 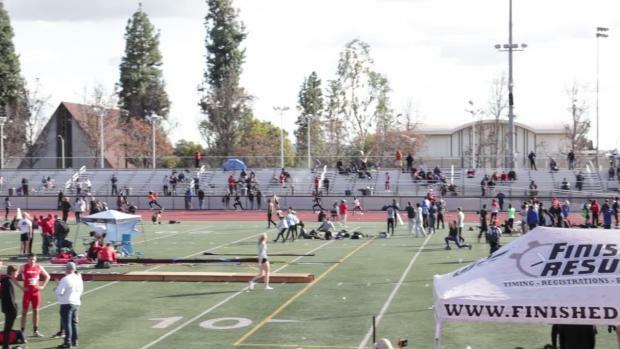 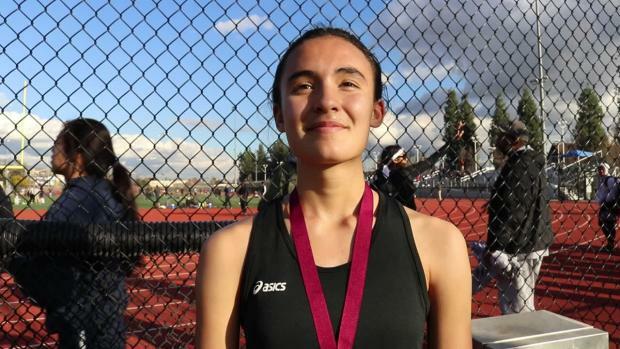 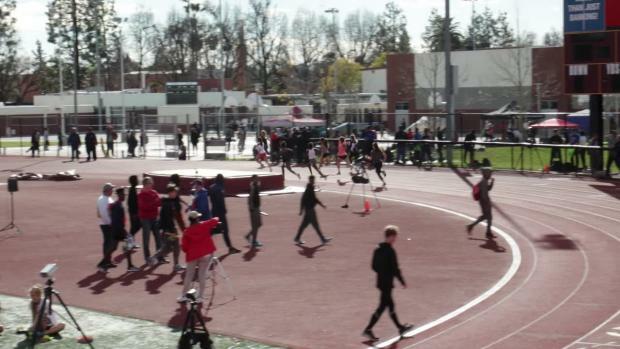 McDonald, a jumper and short hurdler, is now at Calabasas, adding her unique versatility to an already stacked girls team. 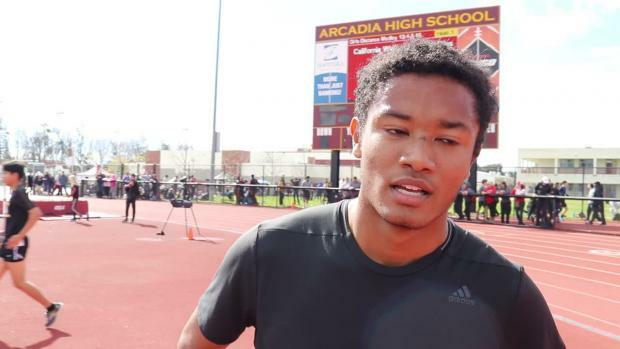 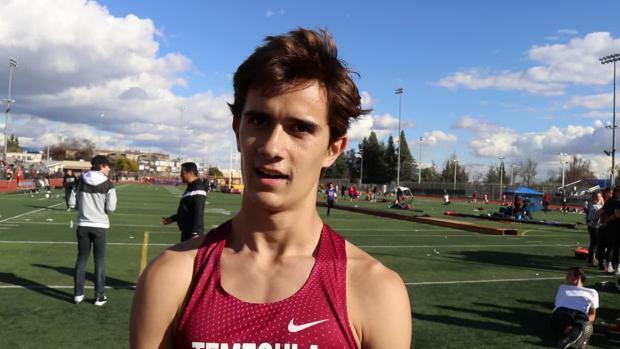 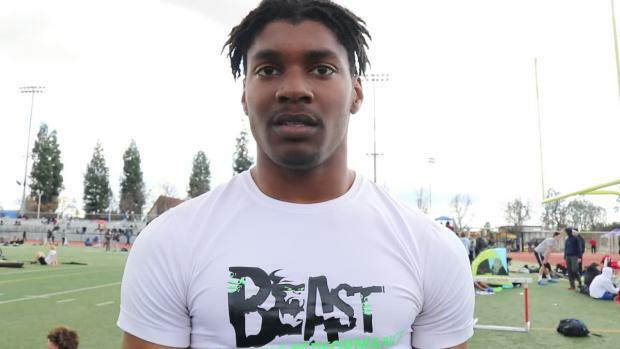 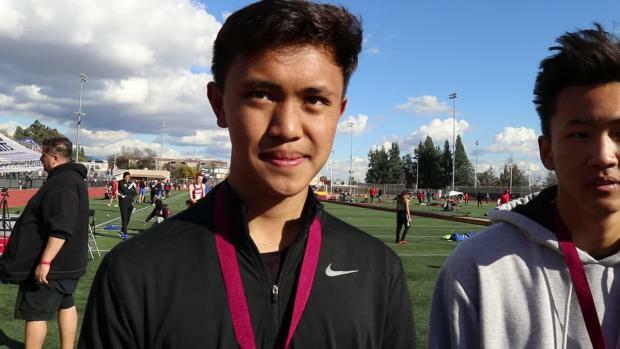 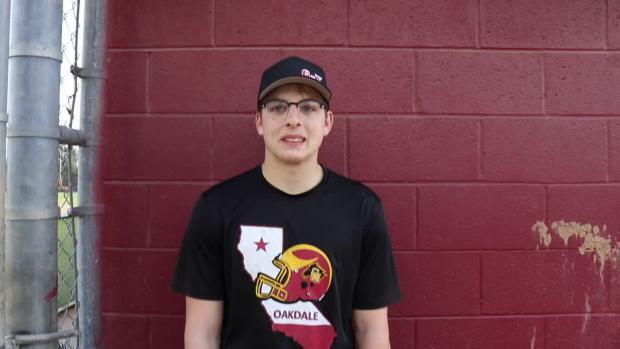 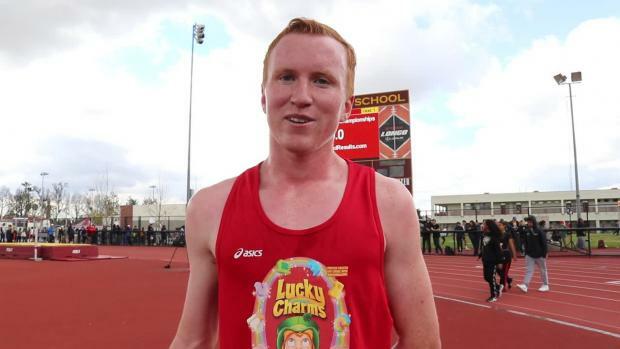 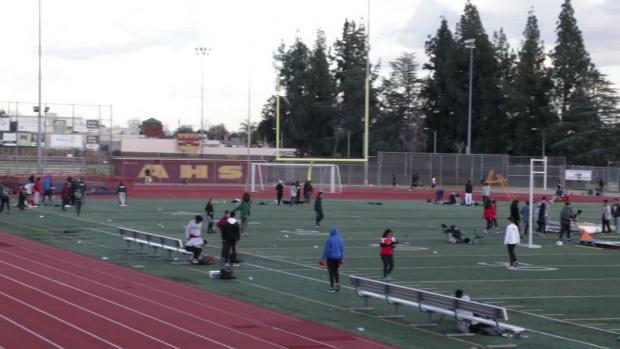 We caught up with McDonald during a practice at Calabasas earlier this winter. 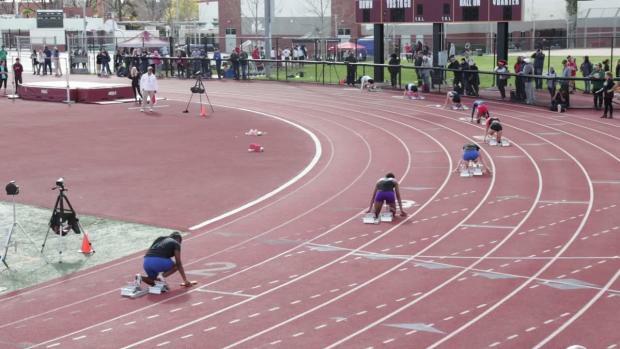 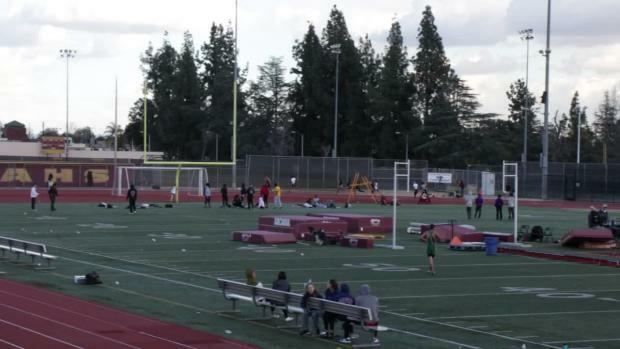 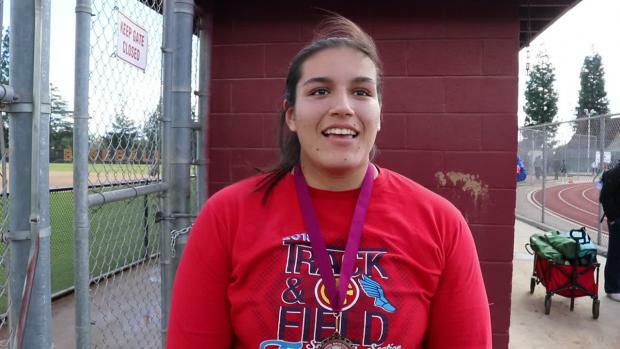 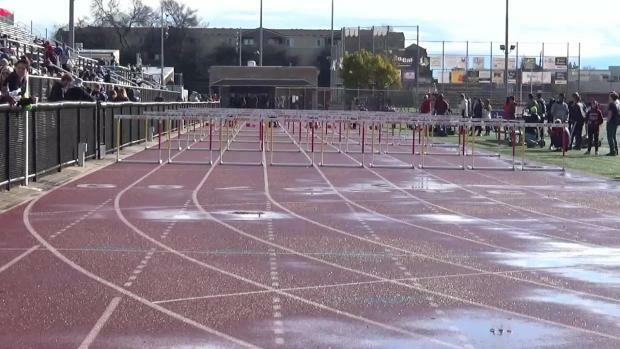 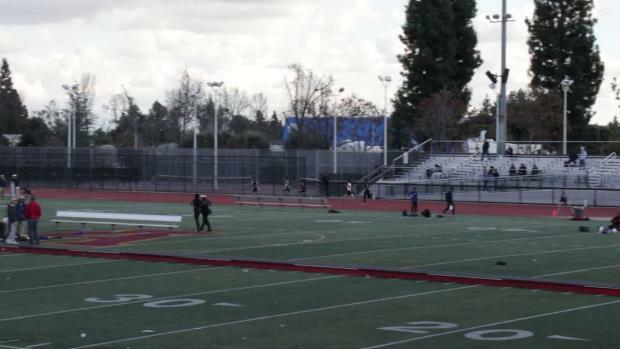 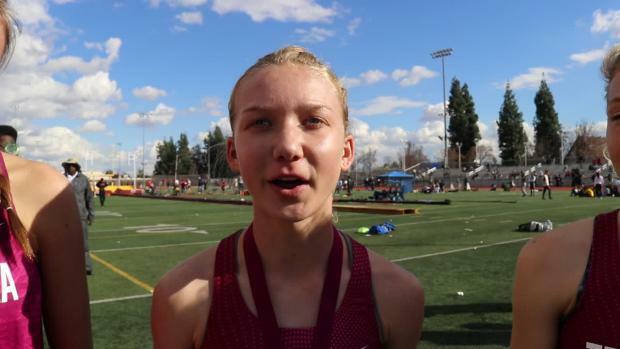 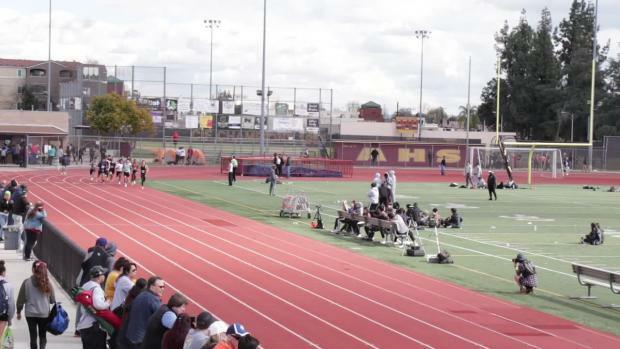 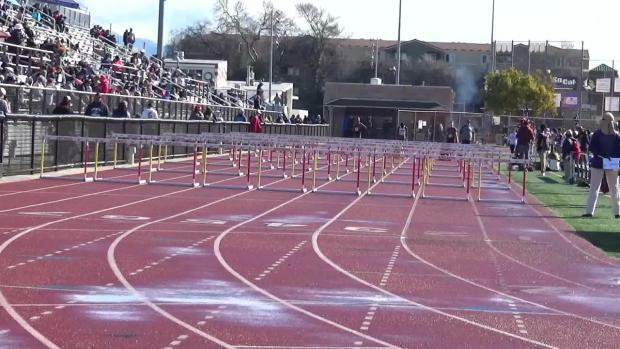 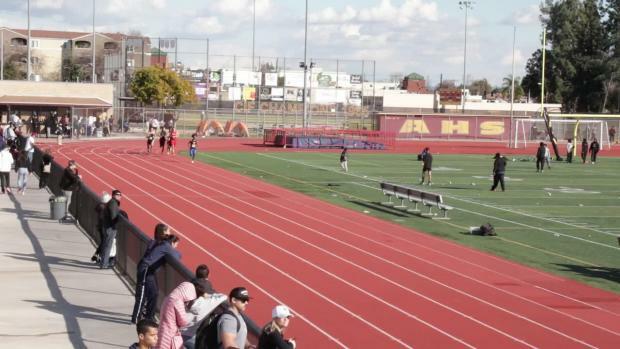 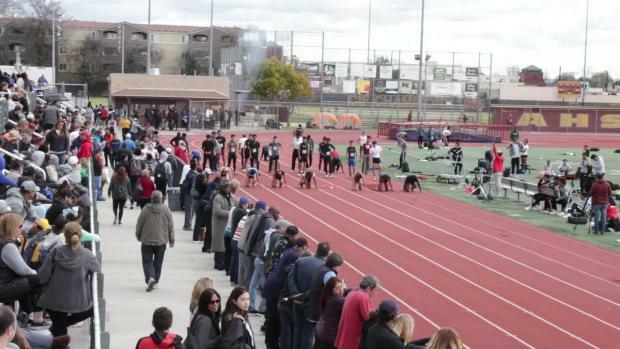 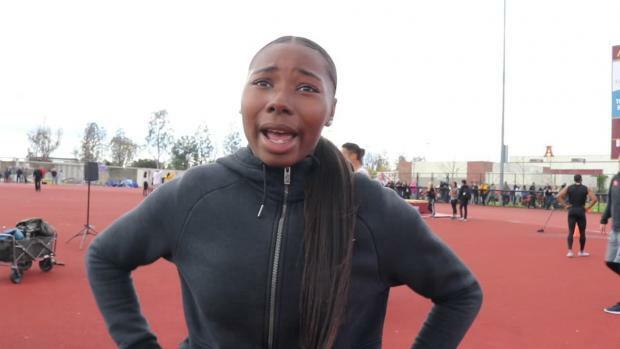 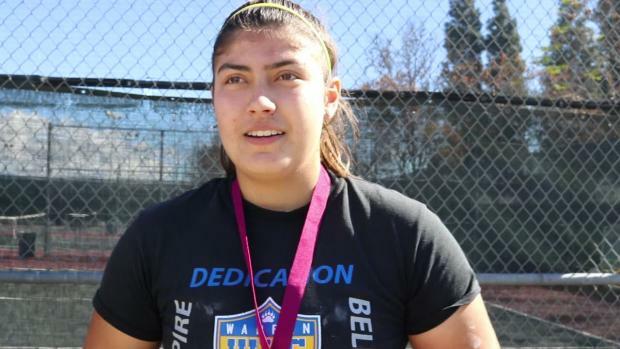 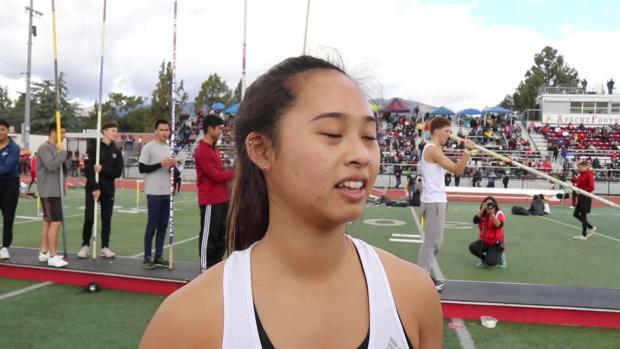 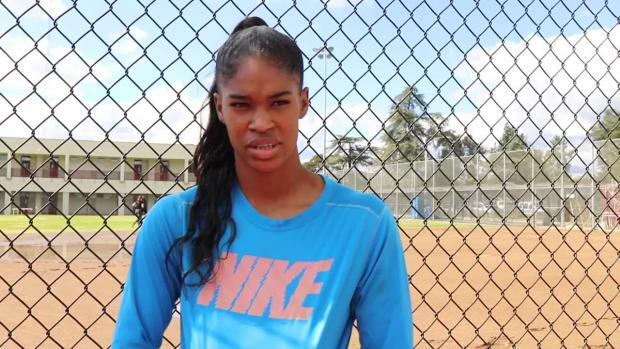 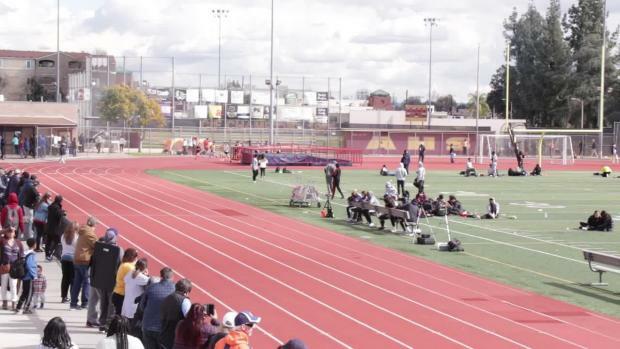 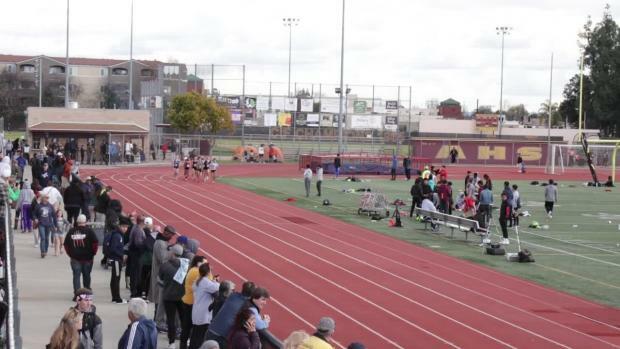 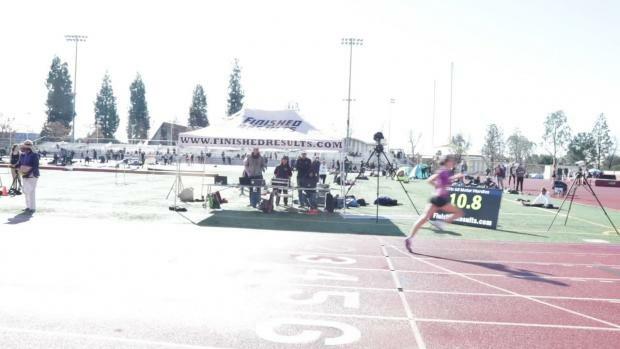 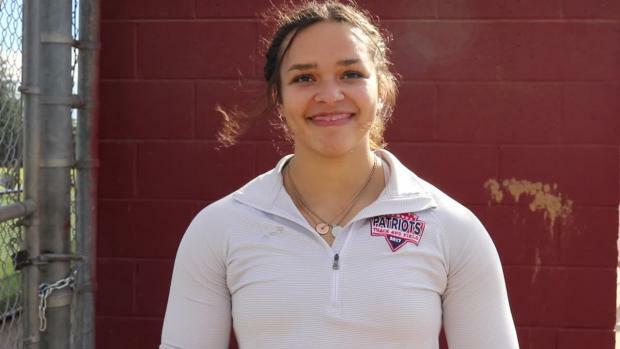 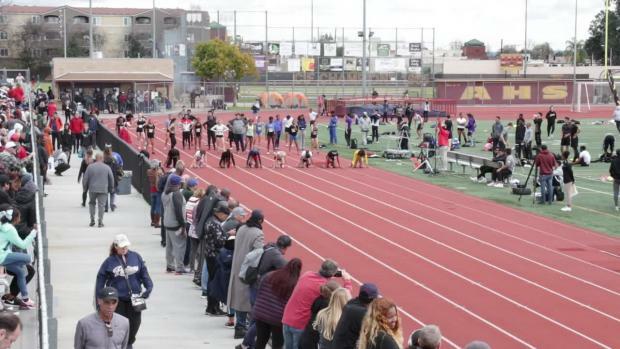 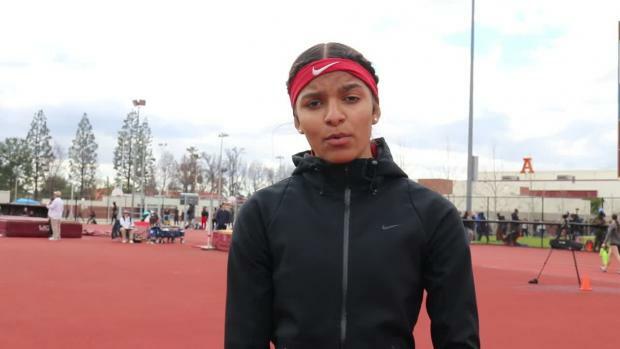 This interview also includes a clip of her running the 60-meter hurdles at the CA Winter Championships. 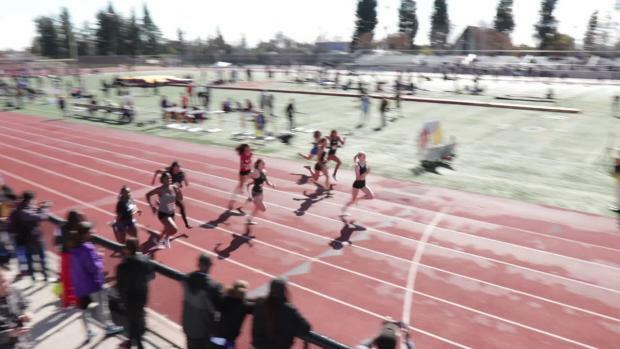 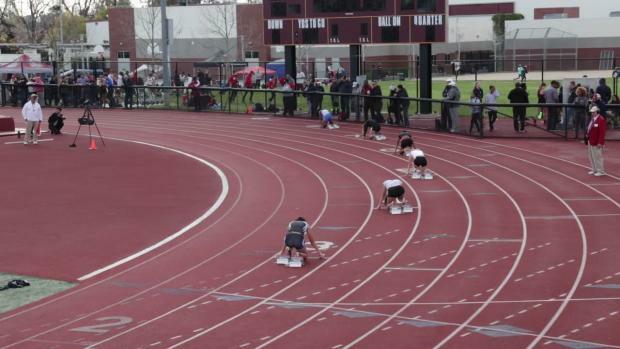 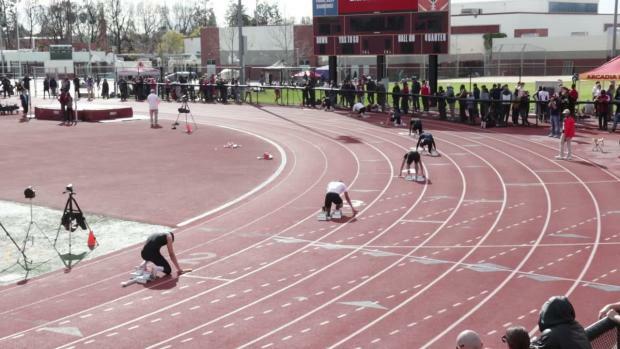 In the clip, she's on the far left. 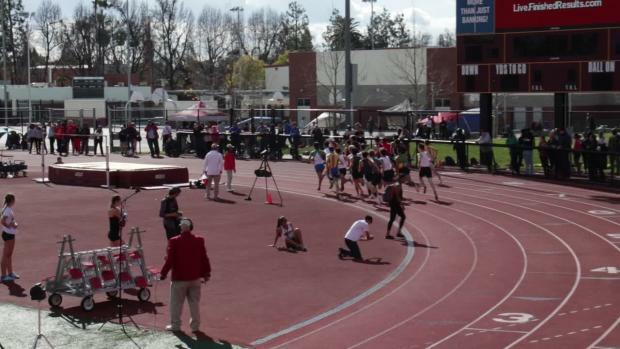 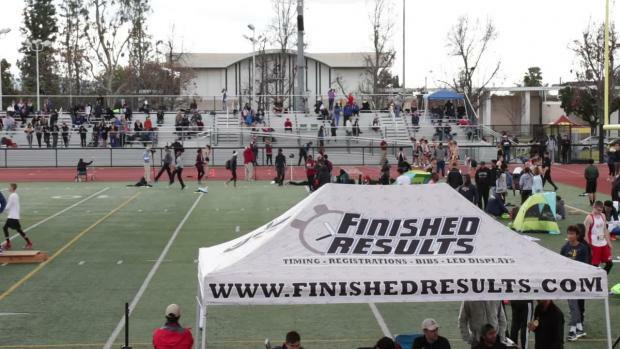 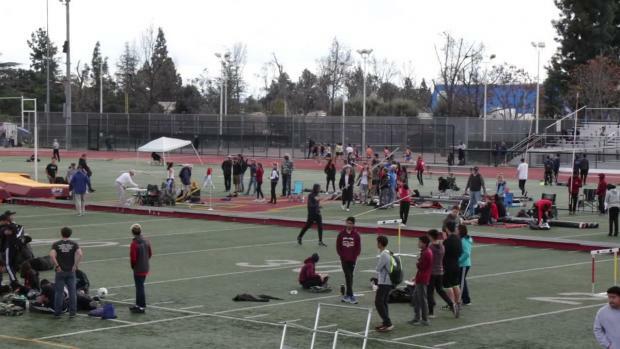 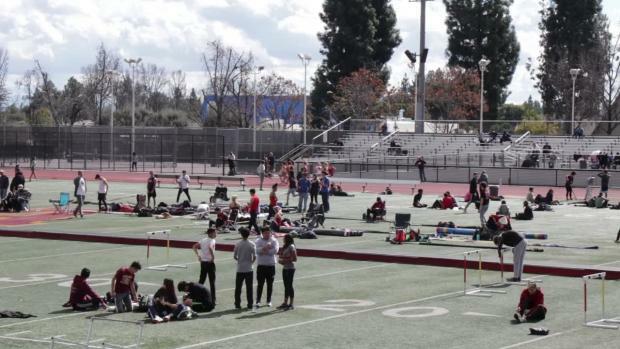 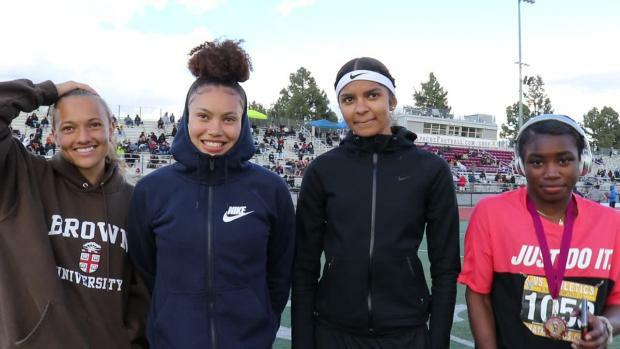 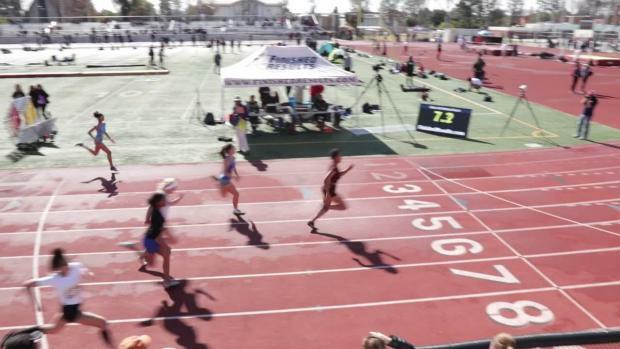 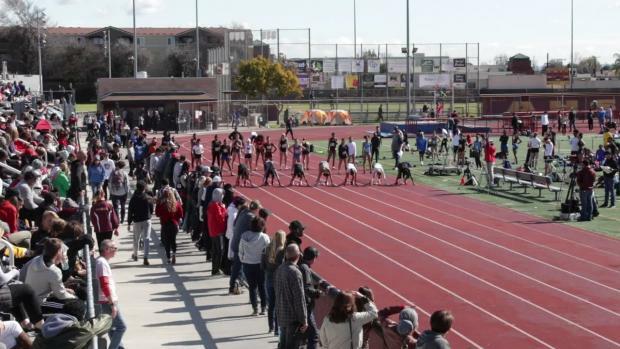 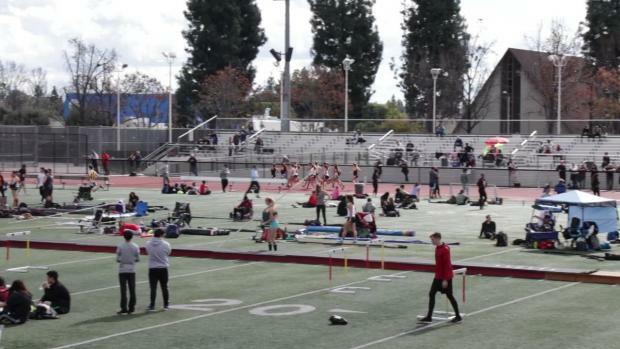 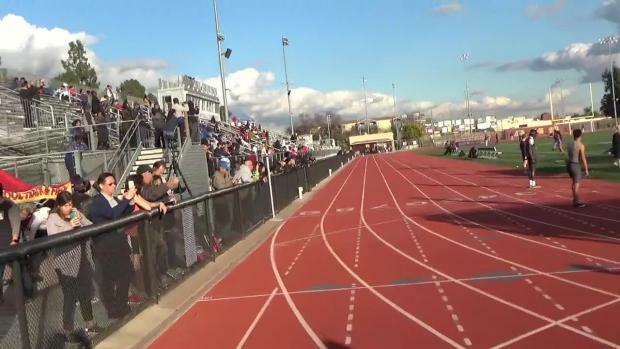 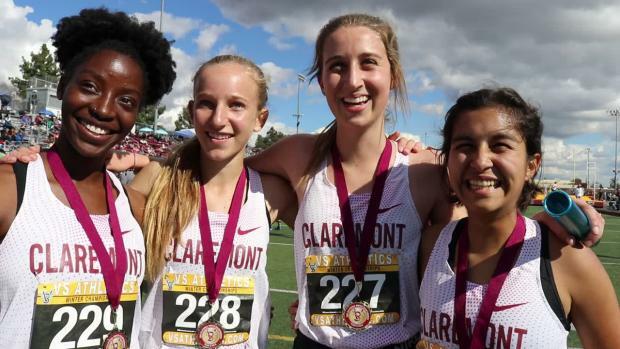 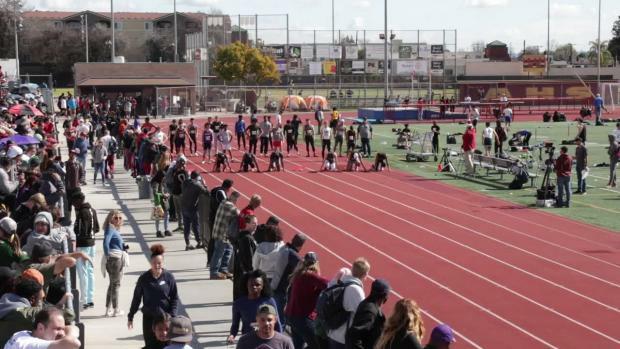 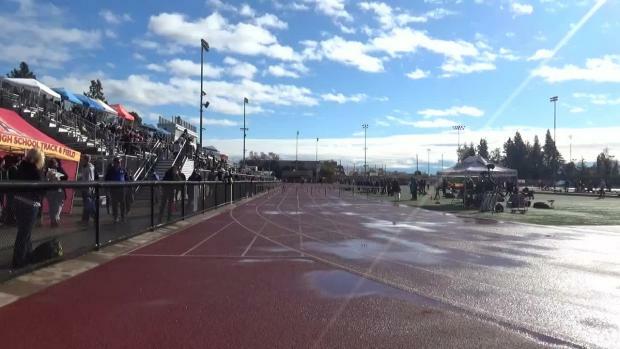 Great Oak's 4x800 meter A team of Kendall Harrison, Brianna Weidler, Arianna Griffiths and Fatima Cortes won the CA Winter Championships title in 9:41.31.